If U.S. Rep. Pete Sessions is to succeed in his bid to serve as the third-ranking Republican in Congress, the 10-term Dallas congressman will need the support of his fellow Texans. 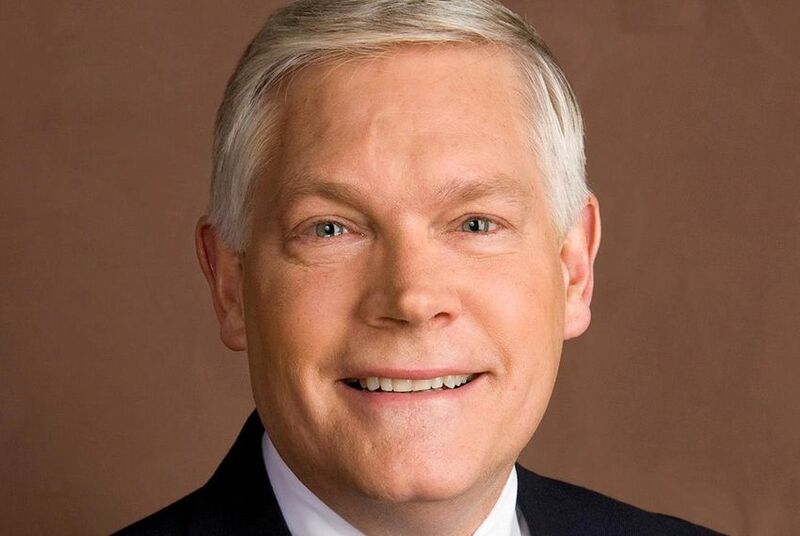 WASHINGTON – If U.S. Rep. Pete Sessions is to succeed in his bid to serve as the third-ranking Republican in Congress, his fellow Texans have to come through for him. The 10-term Dallas Congressman is running for House majority whip in the wake of the leadership shakeup following outgoing House Speaker John Boehner’s retirement announcement last week. Sessions faces stiff competition, and it appears impossible for him to win unless fellow Texans back his bid. “My gut tells me most of the Texas delegation is supporting Pete,” U.S. Rep. Bill Flores of Bryan said on Tuesday. Flores, however, is not committed to Sessions, saying that — as the leader of the Republican Study Committee, a considerable bloc of Republicans — he does not want to take sides in the fight. Early speculation has settled on U.S. Rep. Patrick McHenry of North Carolina as the favorite in the race. But Sessions has two major bases: the 25-member Texas Republican delegation, and younger members he helped elect when he helmed the House GOP campaign arm, the National Republican Campaign Committee, in 2010 and 2012. Flores notwithstanding, plenty of other Texas Republicans did say on Tuesday they are backing Sessions. Texas is the largest state delegation in the House Republican conference. In recognition of its size (and thanks to a bit of state pride), Texas GOP members tend to vote as a unit to best leverage their power. And while it is the most powerful delegation in the party – five members, including Sessions, serve as committee chairmen — it is a point of annoyance for some Texans that the most populous Republican state does not have a seat at the chamber's leadership table. “Is he from Texas?” U.S. Rep. Randy Weber of Friendswood joked when asked if he supported Sessions, delivering the comment in a facetious, “is-the-pope-Catholic?” tone conveying the obviousness of his support. But there are defectors. U.S. Rep. Kay Granger of Fort Worth told The Dallas Morning News on Tuesday that her loyalties were elsewhere. And several members interviewed on Tuesday would not publicly commit to Sessions. Beyond Texas, Sessions helped elect dozens of members in the landslide Republican wave of 2010. While his party lost seats in 2012, there are still more members from that class who won their seats with Sessions' help. Flores was one of those Republicans who ousted a Democrat in 2010. “Pete Sessions did a remarkable job,” he said. “Republicans were down on their luck. It was like we were never going to come back. In two years, he turned us around. In many interviews, Sessions is described as a complex personality who has fans and detractors. He also has obvious strengths and weaknesses. But Sessions’ tenure at the NRCC wasn’t without stumbles. He was known to frequently diverge from party messaging. To this day, he rarely speaks to reporters without a communications staffer present. Sessions must win the support of 124 Republican members. If a sizable share of those two constituencies backs him, he has a legitimate shot at whip. However, most observers sizing up the race put a finger on the scale toward McHenry, at least for now. There is no clear guidance on when the election will take place, but members are under the assumption that they will vote on new leadership late next week. Compared to the most recent leadership race, in 2014, this one is moving at a glacial pace. Dazed GOP House members emerged Tuesday evening from a conference-wide meeting. There is a clear sense that the conference is paralyzed on how to proceed in picking new leaders, according to interviews with members both in and outside of the Texas delegation. Boehner fell from power because of this divide and all Republicans running for leadership are trying to balance the wishes of the small faction of House conservatives with the majority of the conference. And there may not even be a whip race at all. House Republicans have yet to decide whether or not the current whip, U.S. Rep. Steve Scalise of Louisiana, can run for House majority leader without vacating his current slot. If Scalise runs and loses the majority leader election, there is a chance the whip job will not even open up. A whip does many things, but the most important part of the job is counting votes. Arm-twisting colleagues is key, but knowing whether or not members will follow through on commitments is the single most vital skill for the position. Sessions is, by all accounts, courting his colleagues. But unlike floor votes, a leadership race is a secret ballot, meaning Sessions will never know for sure who followed through. What he will know in a week or so is just how good he is at whipping the vote.